If December doesn't feel complete without a display of holiday pageantry, check out the Parade of Lights at Kelseyville's annual Christmas in the Country. 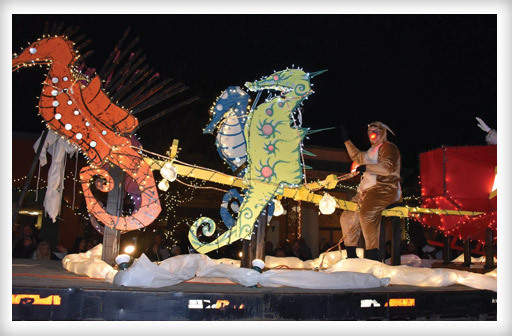 See everything form old jalopies to commercial trucks illuminated in twinkling, multicolored lights as well as more than 40 seasonally themed floats, including, of course, Santa waving to all his fans from atop a fire engine. Dress warmly and line Kelseyville's Main Street for the parade, which will happen on December 7 at 6:30-7 p.m.; photos with Santa will be available in the lobby of Westamerica Bank, 7-8:30 p.m.